Hazel and Joe had yet to meet one another. Both were engaged in childhood pursuits that yielded inspiration for the path on which they currently travel. 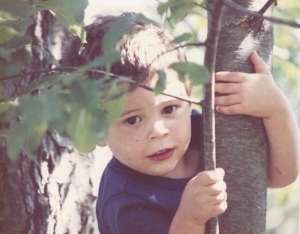 Joe spent all the time he could outdoors in his family’s garden, climbing trees, going for hikes, and camping. As a Boy Scout, Joe worked diligently; in the winter of 2006, he made the rank of Eagle Scout. It was this most early experience of leadership and the outdoors that led Joe to enroll in the Environmental Biology program at Unity College in Unity, Maine with a hope to study the natural world through the logical disciplines of science and reason. Hazel spent all her time hiking, cross-country skiing, and snowshoeing around her family's woods in rural Maine. She would explore mossy rocks, babbling brooks, and mighty streams swollen by spring melt. Early on, Hazel realized the important role of education, civic engagement, and outdoor experiences on conservation efforts. This led Hazel to enroll at College of the Atlantic (COA) in Bar Harbor as a Human Ecology major with a hope to bring about change through engaging people with the planet on which they depend.